The Global Library of Women’s Medicine respects the privacy of its on-line users. This privacy statement explains the data processing practices of The Global Library of Women’s Medicine. If you have any requests concerning your personal information or any queries with regard to this policy please email support@glowm.com. 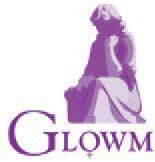 This privacy statement covers only The Global Library of Women’s Medicine website at http://www.glowm.com. However, this website includes links to other websites, and these other sites are not covered by this statement. When someone visits our website we collect standard internet log information and details of visitor behaviour patterns. We do this to find out things such as the number of visitors to the various parts of the GLOWM site. We collect this information in a way which does not identify anyone. We do not make any attempt to find out the identities of those visiting our website. We use Google Analytics to help analyse use of our website. Most web browsers allow some control of most cookies through browser settings. To find out more about cookies, including how to see what cookies have been set and how to manage and delete them, visit http://www.allaboutcookies.org. This website includes links to other sites. The Global Library of Women’s Medicine is not responsible for the content or reliability of other websites to which we link. The inclusion of a link should not be taken as an endorsement of the site. We cannot guarantee that these links will work all of the time and we have no control over the availability of linked sites. This APP uses the internet to download resources for medical education and clinical guidance such as contents, videos and publications in the form of PDF. To enable this APP to function, the phone requires to read the phone status. That is, to check if the phone is online, cell net or WiFi connection to allow the user the option of when to download these recourses. If this privacy statement changes in any way we will notify users via the GLOWM News page. If you have any queries concerning this website please email support@glowm.com.